1. Which organizations are behind NNPHL? 2. If I participate in NNPHL, what will I learn and gain practical experience in? The NNPHL curriculum will focus on three key areas that have been identified as critical to successful humanitarian programming: Leadership, Coordination, and Strategic Vision. The Leadership component will focus on individual competencies, such as strengthening decision-making abilities in emergency settings or negotiating during conflict. The Coordination component will cover why coordination matters to humanitarian response as well as how to participate in and strengthen existing networks, and will emphasize the importance of operational leadership in the field. The Strategic Vision component will focus on one’s capacity to develop and effectively articulate a clear strategic vision that is linked to concrete objectives. All participants will engage in a blended learning program, which will include in-person and online, distance learning. The experiential learning component will include two required NNPHL Assignments that have to be completed by the end of the program, as well as ongoing learning that takes place online through a Community of Practice. Potential assignments could include in-country learning experiences, such as attendance at cluster meetings to gain an understanding of coordination mechanisms, or exploration of feedback mechanisms in place for affected populations used to inform program design. Distance learning will provide additional content on subjects while online forums will replicate the open conversation that would occur in a classroom and provide an environment for discussing questions and comments on the materials and collectively brainstorming solutions to challenges faced in the field. 3. Once I complete NNPHL, what official qualification will I have gained? All participants who complete the course will receive a NNPHL certificate of participation. By the completion of the program, participants will have gained key competencies around self-awareness, motivating and influencing others, adaptive leadership, and critical judgment. NNPHL participants will also learn operational planning, decision-making, and risk management skills that will help them to become efficient leaders in humanitarian response. 4. How many NNPHL courses will be offered? NNPHL is a four-year project funded by the Office of U.S. Foreign Disaster Assistance that began in October 2015. The first NNPHL course, called PHL.1 Global, was completed in November 2016. The 2017 NNPHL course, PHL.2 Global, was completed in November 2017. NNPHL.4: The in-person training took place in County Dublin, Ireland, September 5—11, 2018; this is a global cohort with priority given to participants from Latin America and the Caribbean. This course will conclude in January 2019. NNPHL.5: Middle East—Amman, Jordan, March 17-21, 2019; this is a regional cohort with priority given to applicants from the Middle East. This course will conclude in June 2018. NNPHL.6: Africa location TBD, July 7-12, 2019; priority will be given to applicants from Africa. Applications for this course are now open! You can find our application on our Application Page. 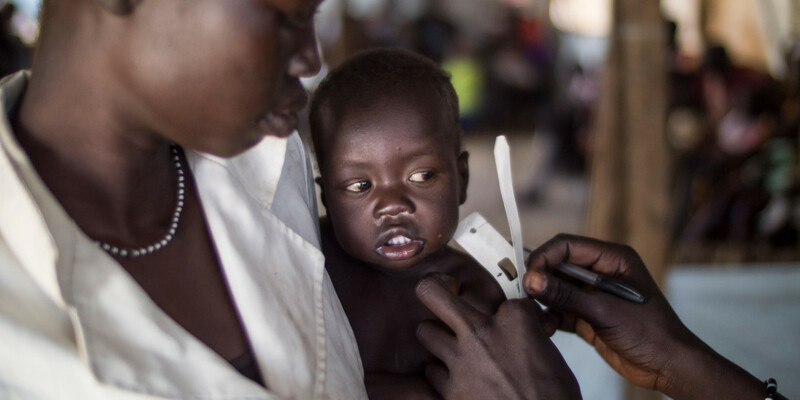 12-month-old Gatlit Matiek has his upper arm circumference measured at one of the Concern nutrition centers in Bentiu Protection of Civilians (POC) site in Unity State, South Sudan. Based on weight and height calculations, he is severely acutely malnourished. 5. Are there other course options offered by NNPHL other than the blended learning courses? Will NNPHL offer an online course? Yes. NNPHL is developing an open-access, publicly available online course—the NNPHL E-Learning Course. This distance learning course will be open to anyone regardless of one’s experience, professional level or engagement with NNPHL (e.g. previous NNPHL applicants, and NNPHL alumni are able to take the e-learning course). No application is required for the NNPHL E-Learning Course. The online course will be available at no cost. Registration for this course will be open tentatively in February 2019. If you are interested in registering for this course or receiving updates please sign up here. 7. How does NNPHL define mid-level professionals working in the non-government humanitarian sector? With a focus on strengthening the leadership capacity of national staff, NNPHL is designed for national staff who are working with local, national non-governmental organizations and community-based organizations. The program is not designed for senior-level staff, nor for entry level staff, but rather for mid-level humanitarians who aspire to take on decision-making and management responsibilities in the humanitarian sector. While NNPHL does not limit acceptance to years of experience, generally NNPHL views mid-level professionals as having four to 10 years of experience in the humanitarian and/or development sector. 8. How are the participants for NNPHL chosen? NNPHL will assess applications based on the information provided on the application form, the letter of reference and the resume of each applicant. In addition, when selecting the final cohort, NNPHL aims for gender balance and regional representation. All applicants will receive an email notifying them when their application has been received. Because of the volume of the applications anticipated, only those candidates who have been short listed, will be notified that they have moved on in the application process. If, for any reason, a short-listed candidate must withdraw his/her application, then another applicant will be short-listed and notified accordingly. 9. What is the time commitment for NNPHL? In-person brainstorming discussion among participants of PHL’s 2016 program. 10. If accepted, will I be responsible for securing my own visa(s) for travel to the in-person leadership training? Yes, but NNPHL will provide the necessary documentation for your visa applications (e.g., invitation letters, etc.). Please note that it will be necessary for all participants to be in possession of a passport that is valid for at least six months after the date of the course. The visa fee will be covered by NNPHL. NNPHL will acquire visa support documents for your visa application, however, if you do not receive your visa you will not participate in the training. No exceptions will be made. 11. What languages do I have to be able to speak in order to be considered for NNPHL? You must be able to speak, read, and write English to be considered, as English is the language of instruction for the course. 12. Will my participation and performance in NNPHL be evaluated? Yes. We will be asking you how in your everyday work you are using the training you received in the NNPHL course. In addition, we will also be asking your supervisor how he or she sees your work and how your work has changed by some of the specific skill areas that were part of your NNPHL training. We will keep this information confidential, but it is important to help us improve the course and to design a challenging and meaningful leadership training course. Completion of the NNPHL coursework and Final Assignments, as well as active engagement in the mentorship program and online, distance learning components will be required in order to receive a NNPHL Certificate of Completion. 13. What is the role of the NNPHL Coach? 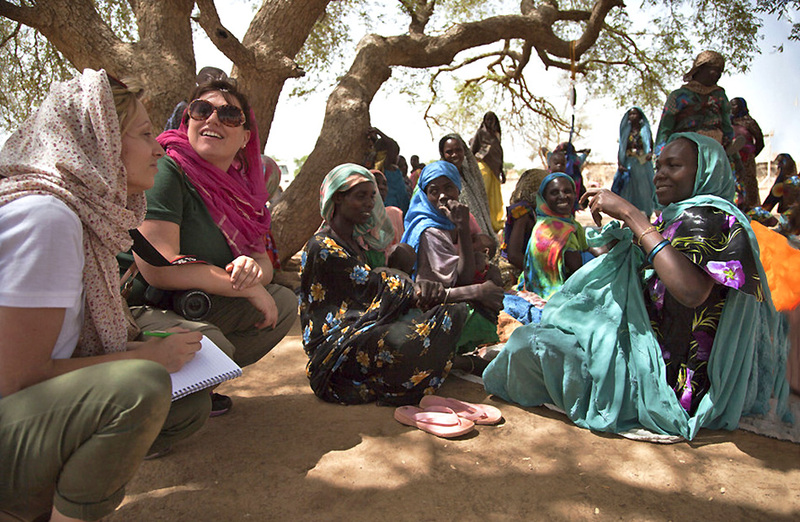 Learn from an experienced humanitarian leader, and receive guidance, support and advice on the challenges that they face in their work, and as they develop their leadership skills. 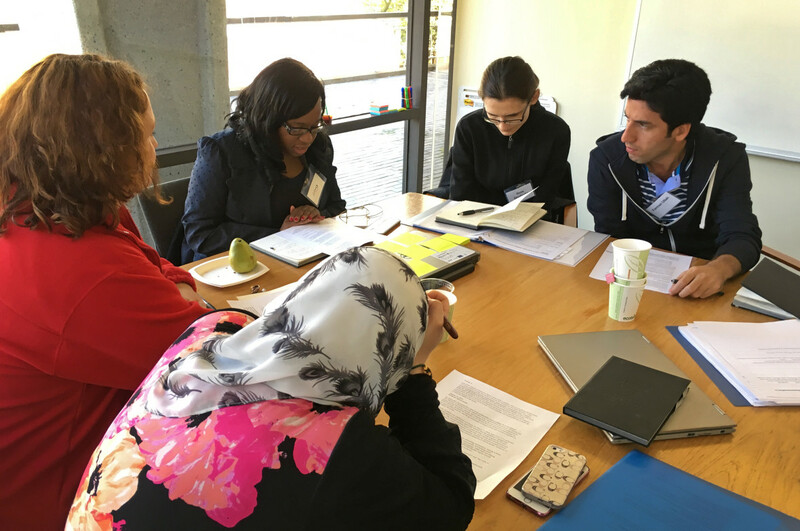 Support the NNPHL participant as they work on their NNPHL Assignments. 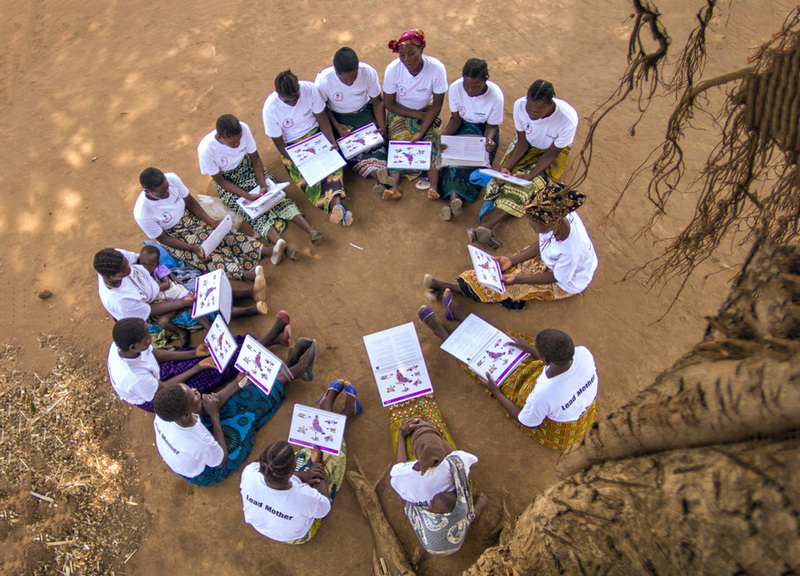 Lead mothers in the village of Dzidzwa, Mchingi District, Malawi, have been very effective in influening parents to rethink their approach to child nutrition and issues of health and sanitation. 14. What are the NNPHL Assignments? Each participant will be expected to complete two individual assignments in order to finish the program. The nature of this requirement is to ensure that participants have an opportunity to put their skills into practice within their organization. Participants will choose which assignments they complete so that each task complements the work they are already doing. Potential assignments could include participation in assessments, an evaluation of a humanitarian project/program, or learning experiences such as attendance at a cluster meeting to gain an understanding of coordination mechanisms. Organizations will be encouraged to help identify opportunities for NNPHL participants to engage in new or more challenging experiences. One of the two assignments will be to organize a small-scale leadership training or presentation for the participants’ organization, or professional peer network. 15. Does NNPHL offer field placements? We are no longer offering field placements with Concern Worldwide or International Medical Corps. 16. Do you have any information about other training opportunities for humanitarians? If you are interested in learning more about other training opportunities, please click here for a reference list highlighting a range of training opportunities for humanitarian and development professionals. This list is not exhaustive and is only meant to provide a sampling of some other online and in-person courses available. Any questions about these training programs should be directed to the programs themselves, not NNPHL. NNPHL is not affiliated with the programs listed and has only provided this list as a sample of other training resources publicly available at the time of posting. 18. How does NNPHL classify countries and territories by region? For all other questions, please email [email protected] Thank you.